PULLMAN, Wash. – Do robots dream? PULLMAN, Wash. – When Gizelle Sandoval arrived on the Washington State University campus a few years ago for the Dare to Dream Math and Science Academy, the high school junior wasn’t sure wasn’t sure she wanted to be here. 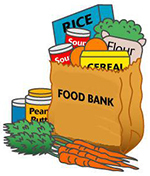 PULLMAN, Wash. — Washington State University undergraduate and graduate students are invited to participate in a survey that will help determine the prevalence of food insecurity on campus. PULLMAN, Wash. – Washington State University junior Adilenne Villanueva felt anticipation and anxiety while watching the U.S. Supreme Court justices deliberate on a landmark case recently. RICHLAND, Wash. – Rafael Mendoza learned from his migrant parents that if you work hard, the opportunities are endless. His success as a Washington State University Tri-Cities business student and intern have proved that true for him. Photo: Antonio Chiprez and Johnny Gongora. Since 1967, farm workers and their children have been coming to WSU to redirect their lives with the help of the High School Equivalency Program (HEP). Lisa Ramirez, acting director of the U.S. Office of Migrant Education, recently acknowledged it as the oldest continually operating federally funded program of its kind.